The Cirrus Logic Voice Capture Development Kit for Amazon AVS is optimized for the development of smart speakers, portable speakers, and compact audio devices with Alexa built-in. It features a dual-core DSP that runs algorithms for voice control, noise suppression, and echo cancellation technology enabling high-accuracy wake-word triggering and command interpretation. This highly integrated audio front end solution includes two digital MEMS microphones; an on-DSP high-performance DAC, embedded smart codec, and playback amplifier; low power operation, and tools for audio tuning. The Cirrus Logic Voice Capture Development Kit for Amazon AVS is suited for consumer audio OEMs and ODMs. It is a scalable solution that can support high volume commercial applications, with a schematic design that requires minimal customization. 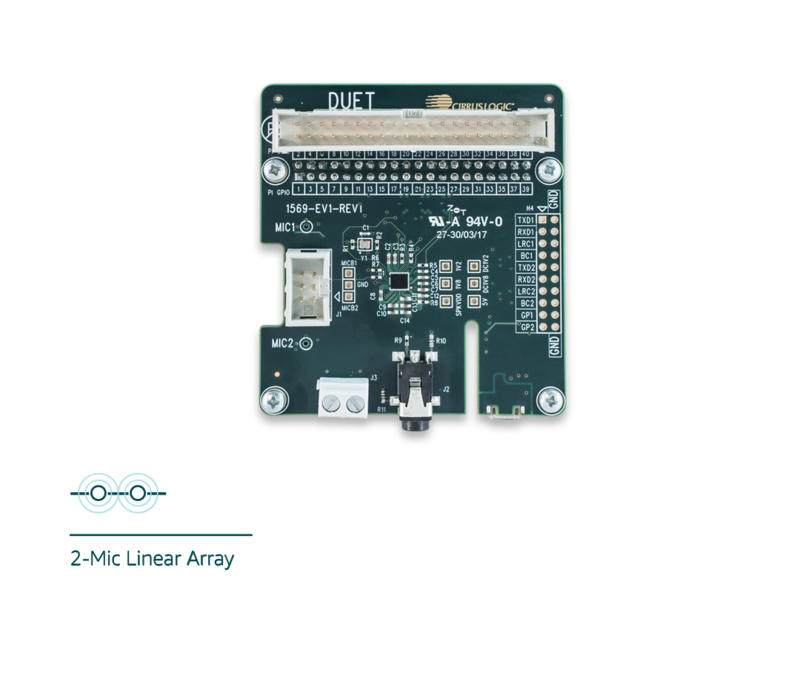 The development kit comes with a microphone array board, Raspberry Pi 3, speaker, and microSD card preloaded with firmware – designed to jumpstart prototyping out of the box. Cirrus Logic Voice Capture Development Kit for Amazon AVS ($400.00). Cirrus Logic’s development tools and technical documents. Cirrus Logic’s un-boxing and set-up video.